EAST LANSING, Mich.—Coming off a six-day break following an embarrassing home loss to its hated rival, Michigan State men’s basketball sent a message to its doubters Friday night. Clad in alternate black and neon-green uniforms, the No. 9 Spartans ran away from visiting Indiana, 85-57. 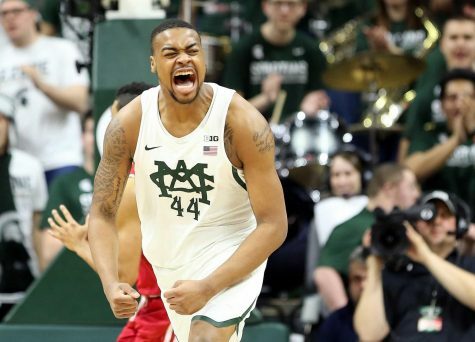 Led by 22 points from Miles Bridges, five players scored in double figures for Tom Izzo’s team to pave the way to an easy victory following two losses in the previous three games. 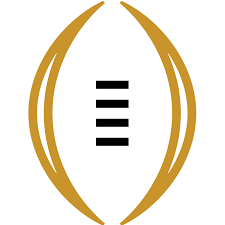 The game began as a back-and-forth Big Ten battle. The teams traded leads for the first four minutes of action. A Robert Johnson three-pointer gave the Hoosiers a 10-9 lead before Matt McQuaid snatched the lead back on a fadeaway jumper with the shot clock running down. That’s when the rout began. The Spartans (17-3 overall, 5-2 Big Ten) went on an 18-0 run to take a 27-10 lead, putting the visitors on the ropes less than 10 minutes into the game. By the time the halftime break rolled around, the Spartans held a 42-23 lead. The Hoosiers (11-8 overall, 4-3 Big Ten) came into the game shorthanded up front, playing without forwards De’Ron Davis and Collin Hartman. Then, late in the first half, forward Juwan Morgan left with an ankle/foot injury and didn’t play the rest of the game. The Spartans took advantage and dominated scoring inside the paint, notching 38 points down low compared to 18 for the Hoosiers. Nick Ward and the Spartans also crashed the boards hard all game, winning the rebounding battle 45-27. Ward led the way with 13 boards to go along with his 18 points. “Really great performance by them in terms of just initiating the physicality of the game, the pace of the game, and just how hard they play,” first-year Indiana coach Archie Miller said. 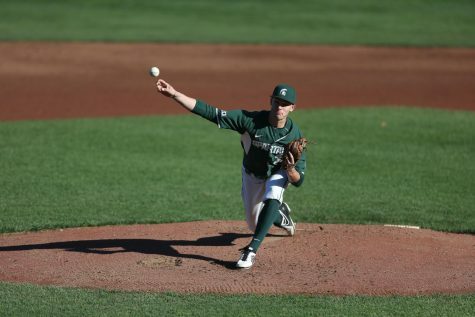 Bridges responded impressively after many fans and analysts began to question his killer instinct after the Spartans’ two losses in three games. His 13 points in the first half and 22 points total led all scorers. He hit each of his first five shots as the Spartans built up their early lead. With three blocks on the night, Jaren Jackson passed the school record for blocks in a season by a freshman. His 65 blocks on the year surpassed Deyonta Davis’s previous record of 64 set in 2015-16. Jackson appears poised to cruise past the school record of 72 set in 1984-85 by Ken Johnson. 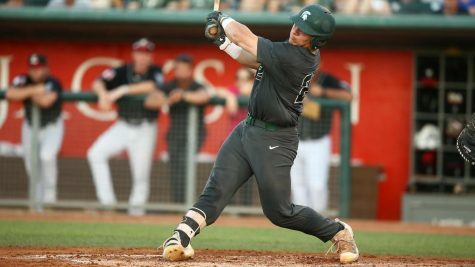 The Spartans will hit the road for just their third true road game of the season on Monday when they fly to Champaign, Ill. for a game against winless Big Ten bottom-feeder Illinois. Tipoff is scheduled for 9:00 p.m. ET. The talk of the Breslin Center for much of the game was not even related to basketball. 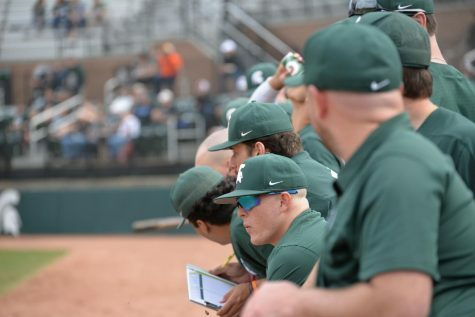 Former New York Yankee and current FS1 baseball analyst Alex Rodriguez traveled to East Lansing to take in the game, sitting behind the MSU bench decked out in a white Izzone t-shirt. Rodriguez, who according to multiple sources is a longtime fan of Izzo, addressed the Spartans before the game and delivered a passionate speech.